Whitwell Presbyterian Church was built around 1892. NASHVILLE -- The Tennessee Historical Commission today announced the addition of a 19th Century Marion County church and the one-time Nashville area homes of both country music legend Hank Snow and June Carter to the National Register of Historic Places. "Tennessee's unique heritage is exemplified by these recent National Register nominations," said Executive Director and State Historic Preservation Officer Patrick McIntyre in a news release. McIntyre added that "the listed properties depict the diversity of the state's history." 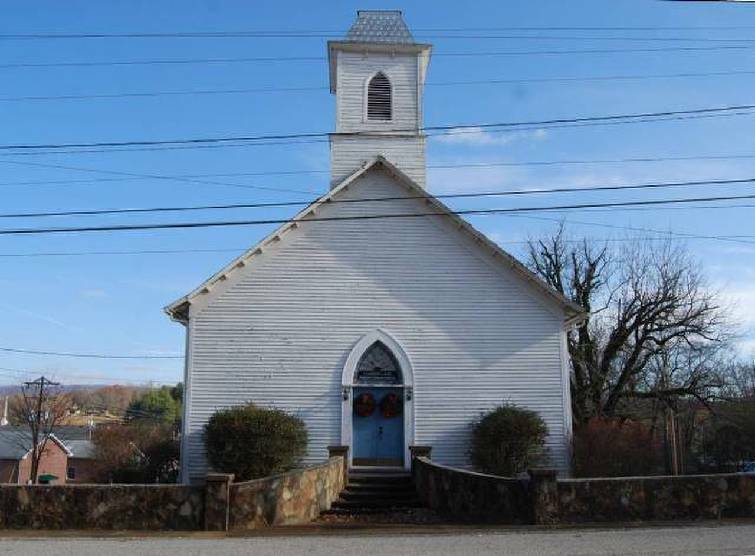 Sites include Whitwell Presbyterian Church, built around 1892, although the state says the exact date of construction is still disputed. Primarily Gothic Revival in style, the exterior boasts Gothic arched (peaked) windows and entry door, weatherboard siding, a bell tower with a Mansard roof and brackets, and metal shingles on the roof. A distinctive feature of the building is the notched weatherboard in the gable field, forming a decorative pattern. Inside, stained glass windows that were added around 1958 are the most elaborate feature. Plaster walls, beadboard wainscoting and historic wood pews delineate the interior of the church. The church retains its historic design and, according to the state, is a "good example" of rural church design around the turn of the century. The church still has a small congregation and shares a pastor with two other Cumberland Presbyterian churches. Also added to the register was the home of the late country music artist Snow in Madison. Snow, who died in 1999, purchased the brick ranch house in 1950, not long after his first No. 1 hit - "I'm Movin' On" was released earlier in August of the same year. It remained No. 1 for 21 weeks and stayed on the charts for 44 weeks. A native of Canada, Snow – known as Hank, the Yodeling Ranger – first went on the radio in Halifax, Nova Scotia in 1933 and joined the Midnight Jamboree in Wheeling, West Virginia in 1945. Snow and his family later settled in the house that would become his office, talent agency, and recording studio for himself and others. Another addition to the National Register is the Smith-Carter House, also located in Madison near Nashville. Built in 1925, the home's Monterrey Revival is considered an unusual style for Davidson County. It's characterized by a low pitched gable roof and a cantilevered porch covering the façade. The home is also considered important because of its association with June Carter. Grand Ole Opry star Carl Smith bought the house shortly before he married fellow Opry star Carter in 1952. After their divorce, Carter kept the house and lived there until she married Johnny Cash in 1968. She started her career singing with The Carter Family. She and frequent collaborator Merle Kilgore penned a number of songs at the house, including "Ring of Fire." Johnny Cash recorded the song and it became number one on Billboard's Hot County in July 1963. Carter also collaborated with Cash and in 1968 they were married and she changed her name to June Carter Cash. Maybelle Carter lived here until her death in 1978. 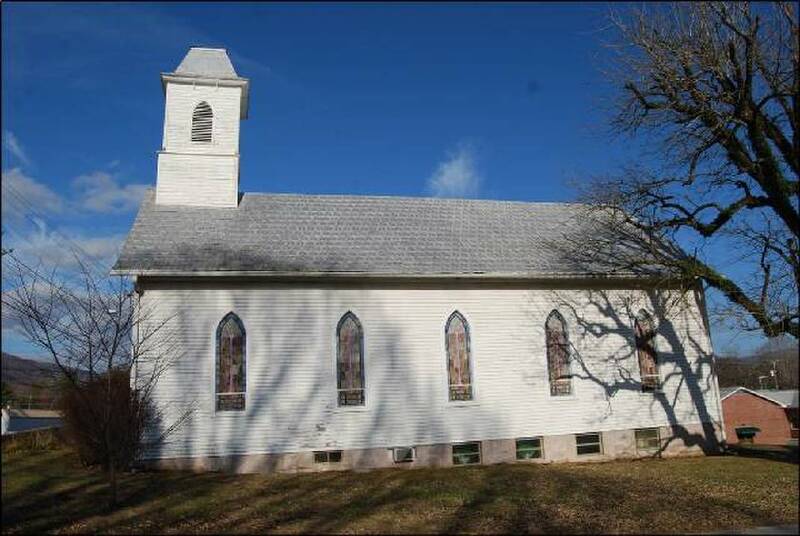 Also added to the Register of Historic Places is Oak Grove School in Sharps Chapel, a community in East Tennessee's Union County. The school, built in 1934-1935, is considered important for its design and role in education in the community.